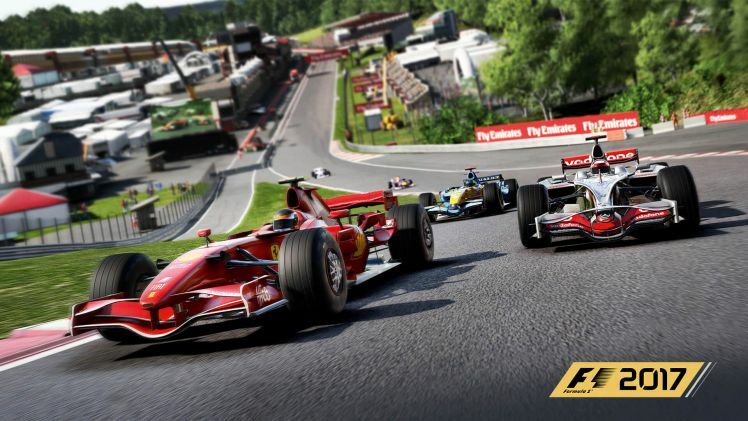 F1 2017 Patch 1.6 for PS4 and PC is now available for download. This update will roll out on Xbox One later. The latest update brings fixes and improvements to the game. F1 2017 1.6 patch has fixed and issues where Players losing vibration/force feedback in multiplayer. In addition, McLaren Engine upgrades are now correctly applied. Check out more details below. McLaren’s Engine Power upgrades will now have an effect on the car when bought and applied. Spec and Multi-Class Races with Classic cars in Grand Prix now work properly. McLaren Engine upgrades are now correctly applied. F1 2017 Patch 1.6 for PS4 has fixed where Players losing vibration / force feedback in multiplayer. Fixed Blue flags at the start of some race. Fixed Cars spawning on top of each other at the start of a race. F1 2017 Patch 1.6 for PS4 fixed and issue where simulated lap times being too fast compared to actual race times. Grid penalties for changing parts now apply correctly when reforming the grid after a formation lap. AI will no longer post single sector times as lap times at Monaco. F1 2017 Patch 1.6 has improved texture quality on PS4. Stats for Public Multiplayer now work correctly (in order to fully implement and correct this, stats and ranks will be reset). AI drivers will suffer reliability issues in Championships mode. Check your game update and download latest F1 2017 Patch 1.6 for PS4 and PC.